﻿﻿Taking place in our local town of Drogheda, the Midsummer 5k on the 23rd June at 8pm is a popular road race due to it's favourable course and post race barbecue in Gleeson's Bar. 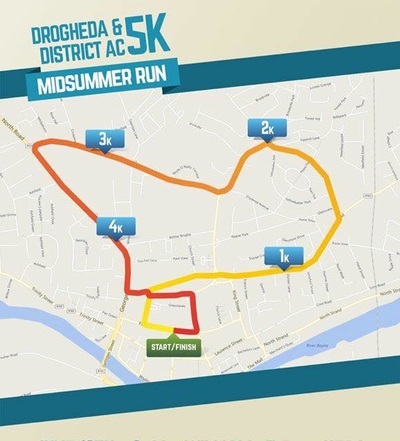 A no frills road runners race, entry is only 15euro and available at http://www.myrunresults.com/events/drogheda__district_ac_midsummer_5k/1956/details. 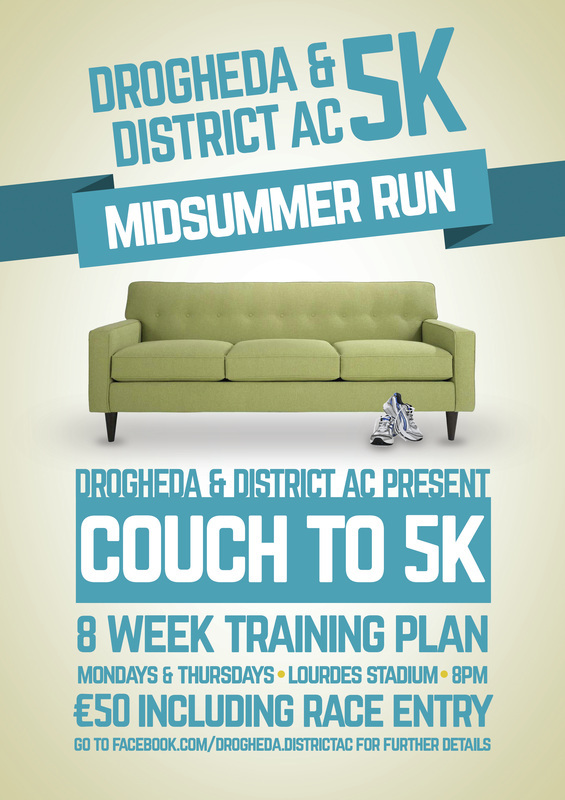 In conjunction with this race we are also beginning a Couch to Midsummer 5k Program which will run twice a week from Thursday the 11th May. 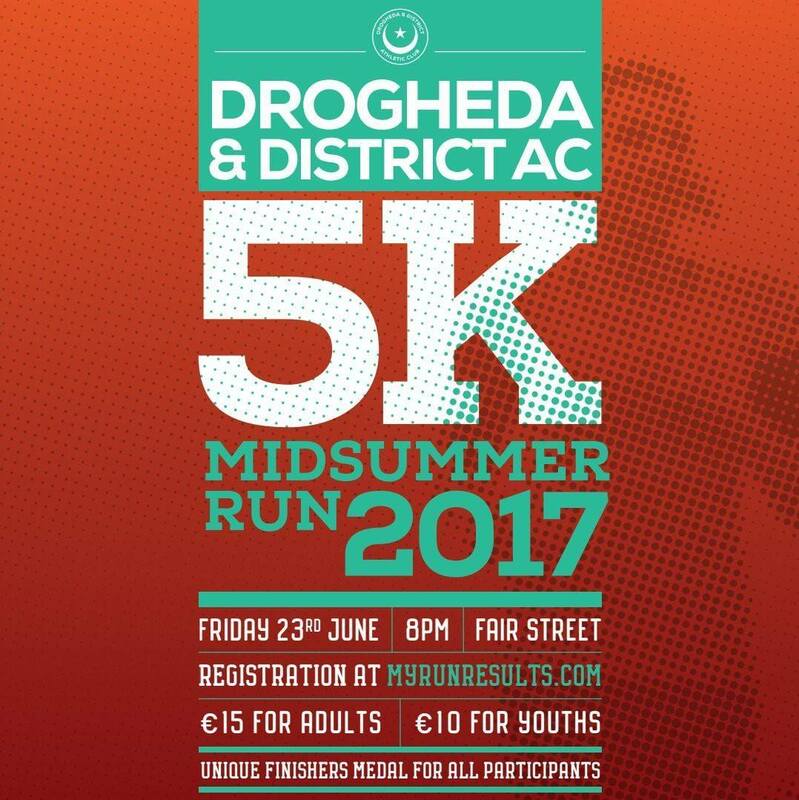 Cost is 50euro which includes your race entry to the 5k. Training takes place on Mondays at 7:30pm at our Newtownstalaban Training Grounds and Thursday at 8pm at the Lourdes Stadium, and is led by experienced athletes and coaches who will ensure that you progress safely and steadily to your 5k goal. Places on this program are limited, so if you wish to take part you must attend our registration in the Lourdes Stadium on Tuesday 2nd May at 8pm to secure your place.